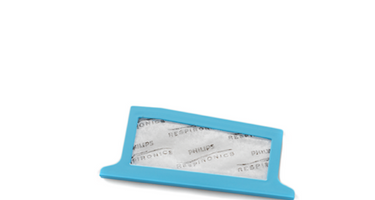 Disposable filter for the DreamStation CPAPs and BiPAPs. Recommended Replacement Schedule: Once every 2 week. Product Features:Protects against small particles,Buy in bulk and save. Your filter protects you from particles floating in your air such as dust and dander. Replacing your filter regularly will ensure that you are breathing clean air and can help protect you against upper respiratory infections.